This article explains the handling of NULL values in different parts and components of Jedox Integrator. NULL values generally represent the absence of an object or a value. It is especially important to clarify how they are handled differently than an empty string (“”) or the numerical value 0. 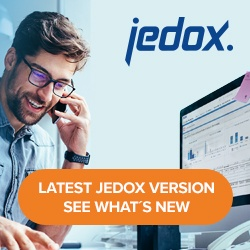 As there have been changes on this topic with Jedox 7.0, the differences are pointed out in brackets [ ]. NULL values are represented in a Data Preview (CLI option -d) for any extract or transform as “«null»”. [Before Jedox 7.0: NULL values are represented as empty string]. Note that this is only a representation; the value used in subsequent ETL components is the NULL value. The following extract types can result in rows containing NULL values: Relational, RelationalTable, Excel, XML, JSON, and File (for missing columns at the end of a row). To convert a NULL (or space value) directly in the extract, a default value can be defined for each column in the field structure (Alias Map). includeEmpty The extract returns a NULL in the value column for empty cube cells. includeEmptyDefaultMapping The extract returns “0” (for numerical cells) and “” (for string cells) for empty cube cells. This corresponds to behavior in Jedox 6.0 when the “ignore empty”=false option is selected. excludeEmpty Empty cube cells are not returned from the extract. This corresponds to behavior in 6.0 when the option “ignore empty”=true is selected. excludeEmptyAndZero If the option “store zero values” is set for the cube, all “0” (for numerical cells) and “” (for string cells) values are not returned. Otherwise the option is identical to “excludeEmpty”. In all tree-based extracts, NULL values (and also empty values) cannot occur as the name of the element. equal, inRange, inAlphaRange The condition is never fulfilled for a NULL value. like NULL values are represented as empty strings, the condition is fulfilled (e.g. for this Regular Expression: ^$). isEmpty The condition is true for NULL values and for (possibly trimmed) empty strings. set NULL and empty values are distinguished; i.e., the condition is not fulfilled (as in a SQL JOIN). not set NULL and empty values are NOT distinguished; i.e., the condition is fulfilled (as in Lookup function). NULL and empty values in target/key columns are distinguished; i.e., corresponding values in the measures are aggregated separately. In all tree-based transforms, NULL values (and also empty values) are not allowed as the name of the element. In Fieldtransform functions, NULL values are generally handled as an empty string. For example, the UpperCase function returns “” for an input column value of NULL. Exceptions are the functions listed explicitly below. For Fieldtransform columns without a function, the NULL value remains. If the input of a script-based Groovy or Java function is a NULL value, then it is also transferred as a NULL to the Script engine; i.e., it has to be handled as NULL inside of the script. This is valid for all input column types (object, string, double,…). See the article Groovy Basics for more information. For numerical base cells in CREATE, UPDATE, or ADD modes, the NULL values can be ignored and the rows are omitted. For all other cases, already-existing values in the OLAP cube will be removed. In ADD mode, the zero/empty string values can be ignored and the rows are omitted. In CREATE, INSERT, and UPDATE modes, already-existing attribute values are removed. Note that attribute cubes can never store 0 values. set: for null values, no XML nodes or attributes are created. not set: for null values, empty XML nodes or attributes are created.